For President George Washington, honesty was tremendously important. You’ve probably heard the legendary story when he cut down a cherry tree, and admitted it to his father with the phrase, “I cannot tell a lie.” In his farewell speech of 1796, Washington said: “I hold the maxim no less applicable to public than to private affairs, that honesty is always the best policy.” And today as parents we teach this to our children. But is honesty really the best policy? Are we being truthful about the beliefs we stand for, when our culture rewards cheats and liars, and whistle-blowers get penalised? Recently Debate.org asked their readers the question: “Is honesty the best policy?” 50% said no and 50% said yes. Why the split? Because honesty isn’t a clear-cut, black-white issue. It is complex and ambiguous. For every situation where honesty is the best route to take, there is another counter-situation where honesty is a no-go. 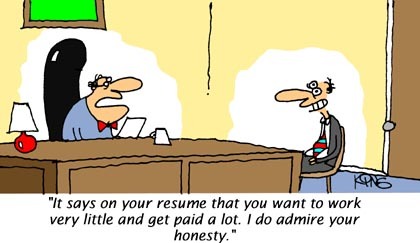 So is honesty the best policy? In truth, sometimes it is, sometimes it isn’t. When I was growing up and didn’t have children, things were a lot easier. I was honest to the point of tactlessness. Why? Because, the way I saw it then, it was the right thing to do. But now I’m not so sure anymore. As I’ve gotten older, things have happened to make me question my black-white thinking. The first incident occurred when I was in my mid-twenties. My soon-to-be sister-in-law’s friend Mandy came to supper one night at my future in-laws. She proudly showed off her engagement ring. Now, most people with common sense know that a woman’s ring is sacred: even if you hate it, just say you like it, because otherwise she’ll never forgive you. Even if she asks you what you think of it, she isn’t really asking for your opinion, she wants you to gush over it. Sadly, despite being female, I didn’t yet understand these social rules. With brutal honesty, I said: “It looks like a Hello Kitty ring.” A shocked silence descended on the room. Mandy looked like she’d been punched in the face. I got scurried to the kitchen to dress the salad, or whatever it was that suddenly needed doing. To this day I don’t know why I said what I did. But once the words were out, I couldn’t take them back. And to this day I will never forget the hurt that I caused. And so, I learnt, in situations where the truth won’t really help that person, to use the little white lie. This year, another incident happened which further complicated the honesty issue for me. My son Jayden, a budding entrepreneur, has been building a model of the restaurant he wants to open. It’s called Scare-ons, where people can eat scary foods while interacting with ghosts, scary creatures and creepy substances all around them. Jayden is nine-years old, and we’re teaching him about business concepts such as identifying the right target market for your product. So I asked him whether he thought adults or kids would eat at Scare-ons? He said both would. I explained that it would be lots of fun for kids, but for adults to eat there, he should think about having something else to draw them in. After pausing to digest this, Jayden then dropped the bombshell question: “Mom, if you weren’t my mom, would you come to Scare-ons?” I was torn. Do I tell him the truth, so that he could improve his concept and make it more compelling for adults? Or do I lie to him, so as not to hurt his feelings? Putting myself in his shoes, I knew I would want to know the truth, and I wanted to teach him that honesty was important. So I chose to be honest with him. “No, JD, I wouldn’t,” I said. Wrong answer. But it was too late. Jayden tried to be brave, but I could see from his quivering chin that he was devastated. It suddenly dawned on me that he had been asking for my approval and I had unknowingly crushed him with the truth. He ran into his bedroom and buried himself under his duvet. With tears streaming down his face, he started breaking the Scare-ons model on his bed. I tried to say sorry and how Scare-ons would be a fantastic place for kids, but nothing could take back what I had said. The damage was done. It was the Hello Kitty ring all over again, but this time 100 times worse because I had hurt my own child. That’s when I realised: even if the truth can help that person, very often they don’t want to know the truth or aren’t strong enough to take it. For times like these, honesty is not the best policy. If you work in a small industry, and you’re quitting because of a clash with your boss, in the exit interview is it worth giving your real reasons for leaving? No, as it could hurt your chances of getting hired in the same industry again. So why burn your bridges? Or it could be a new start-up working from their garage that pretends to have big offices and lots of existing clients in order to win their first big client. Why do they feel the need to do this? Because realistically, big companies probably wouldn’t give you the business if they knew you didn’t yet have any clients. Or what about manager feedback? Staff must weigh up whether to give honest feedback to the bad managers and risk backlash, or just grin and bear it. In times of crisis, people want their leader to stand firm and strong, to have a decisive plan on how to steer them out of troubled waters. This was a big part of New York mayor Rudy Giuliani’s success in 9-11. In an interview for New York Times, Psychologist Dr Michael Cohen remembers telling the mayor. “You say, ‘We’re safe’ — well, how do we know that? Make clear the steps to safety.” Would Giuliani have been as effective if he had admitted to New Yorkers that he didn’t know for sure how to fix things and make New York safe again? Unlikely – they probably would have panicked even more. Giuliani’s unwavering certainty and a decisive plan of action became sources of strength in the confusing weeks following September 11th. We often penalise the whistle-blowers who are courageous enough to expose the truth. In 2004, Joe Darby, an American soldier, was labelled a traitor after he disclosed the prisoner abuse at Iraq’s Abu Ghraib prison. Darby and his family had to be kept hidden in a secure location because of threats from the American public. We may admire Julian Assange, founder of Wikileaks, for leaking the truth about serious, sensitive political issues, but we don’t want to be in his shoes. He has spent more than a year in London’s Ecuadorian embassy, looking for political asylum from charges against him in Sweden. Do whistle-blowers really deserve this kind of treatment for their courage? Honesty is a very personal choice. Speaking about Sep 11th and his decision to be on the scene, Rudi Giuliani said: “I wanted the fire commanders to talk to me face to face — to look into my eyes and give me an undiluted assessment.” Like Giuliani, I want to hear the brutal truth: even if it hurts me now, in the end it will help me. But I have to respect that other people don’t feel the same way. And that’s OK. A little white lie here and there doesn’t make us dishonest, it makes us compassionate, sensitive and human. It’s the bigger lies, like fraud and corruption, that are the real problem and where honesty is far more important.